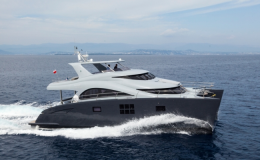 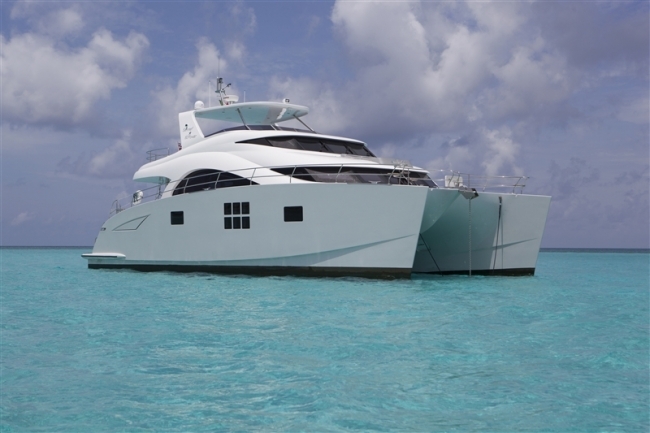 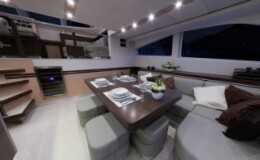 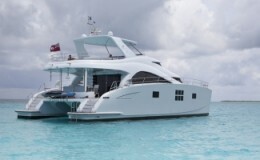 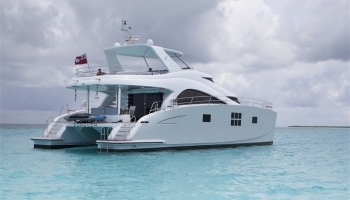 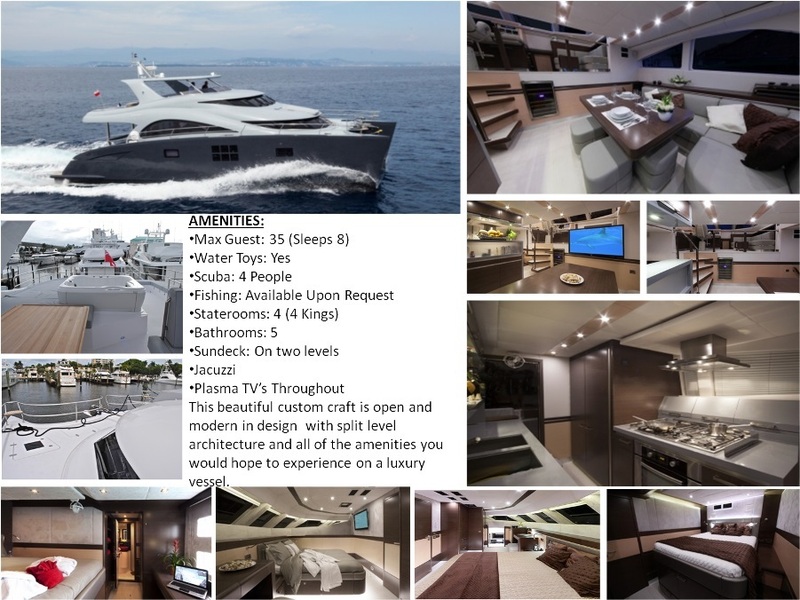 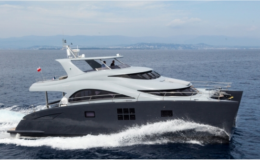 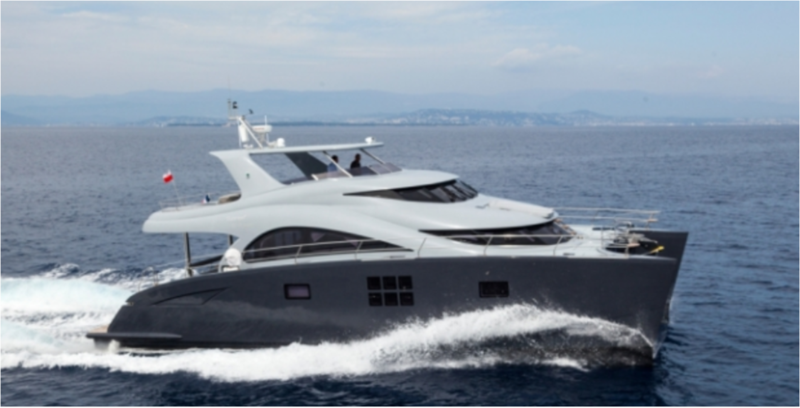 The newest addition to our fleet of vessels available for charter is this gorgeous 60’ Custom Catamaran. 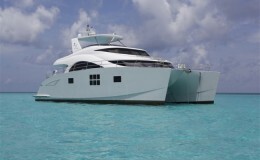 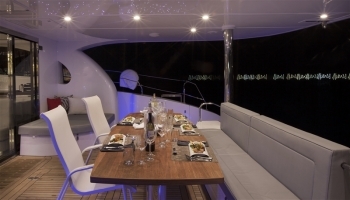 This is a great vessel for day or extended charters and is available to go anywhere, anytime. 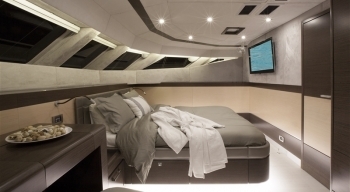 While the length of the vessel is 60’, the design creates more square footage than an average 95’ luxury yacht. 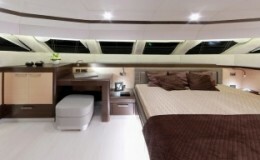 The inside of this vessel shows every bit as futuristic with a broad stroke of elegance as the outside of the vessel. 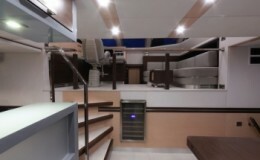 Many modern and prominent features stand out from the roominess and oversized areas ranging from the rooms to the living area, dining, kitchen and split upper level. 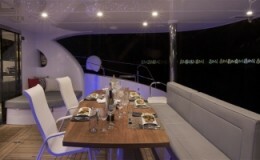 Most small to medium size events and occasions work great with this vessel. 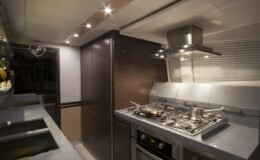 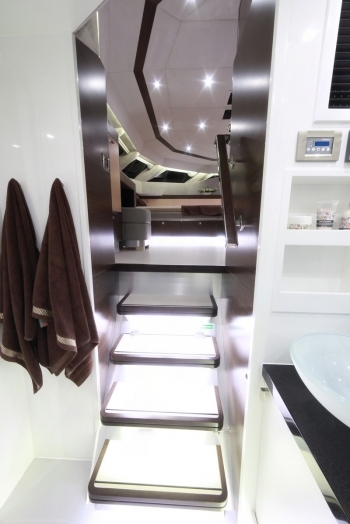 The only way to truly appreciate this luxury vessel is to experience it. 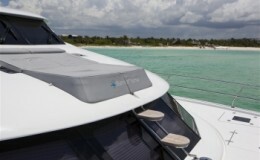 Charters are available for the day for up to 35 guests. 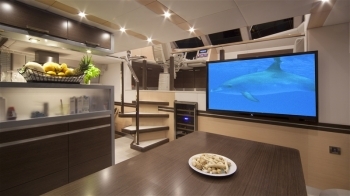 For those choosing to extend their stay to an overnight or a week stay this vessel sleeps 8 comfortably in four cabins and 5 bathrooms. 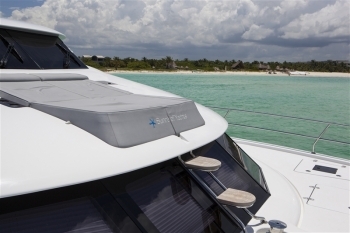 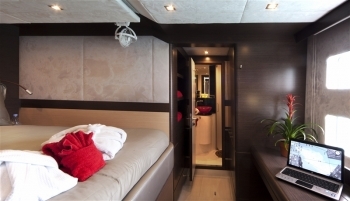 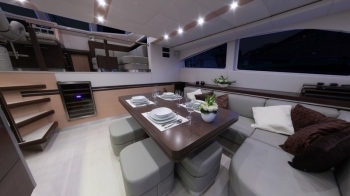 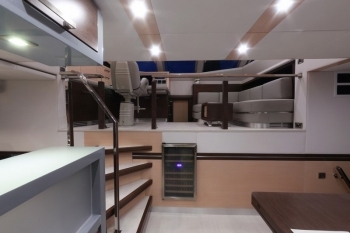 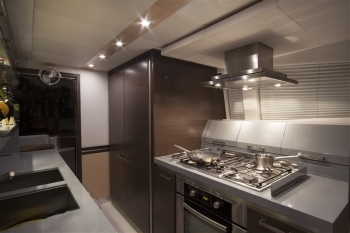 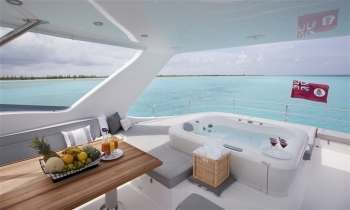 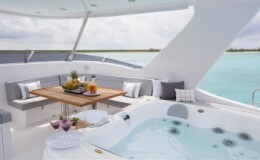 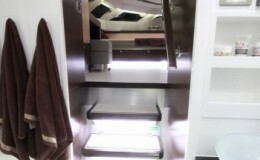 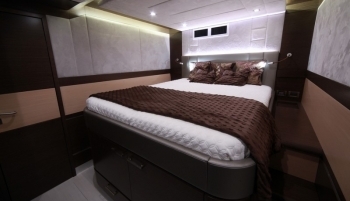 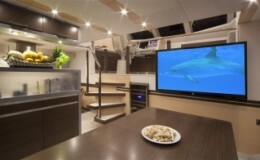 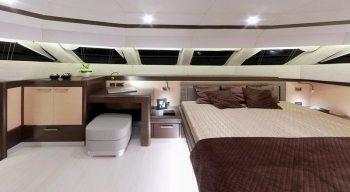 A healthy amount of water toys come with each charter with ample storage space to conceal them in.